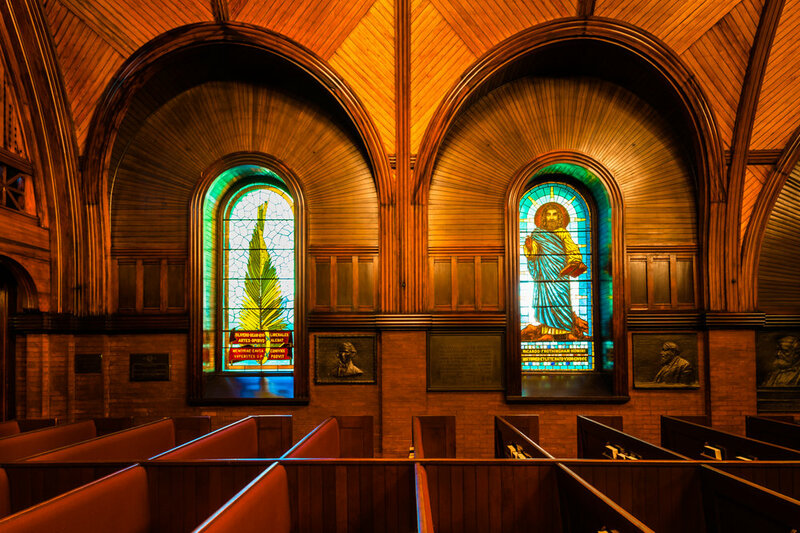 The original college chapel was in the College Edifice (now Ballou Hall), in the room now called the Coolidge Room. 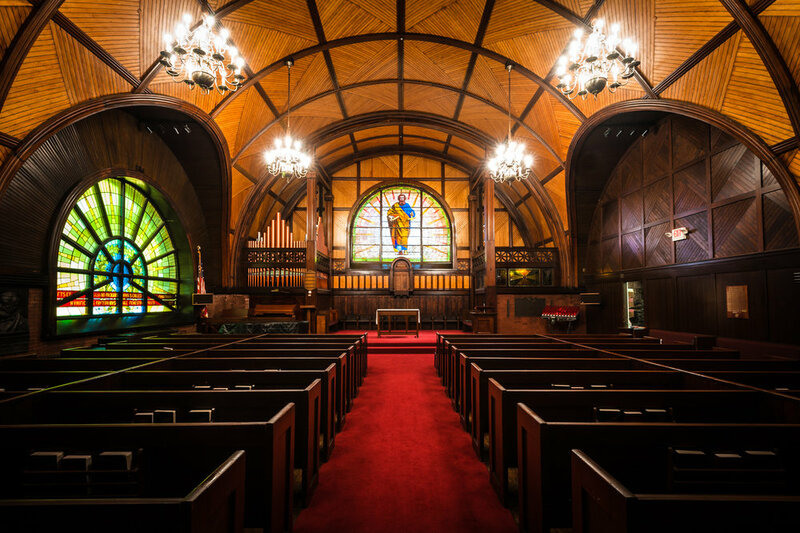 When the college community began to outgrow it, Mary Goddard, the wife of a trustee, donated the funds for building Goddard Chapel. It was designed by Architect J. Phillip Rinn using local blue slate, and built in the Lombardic Romanesque style. Tomasso Juglaris, an Italian-born artist, collaborated in the design and creation of its large stained glass windows. The chapel was dedicated in 1883. In 1995, Tufts Hillel opened the Granoff Family Hillel Center as a center for Jewish life on campus. Before that time, Hillel operated out of a converted closet in the basement of Curtis Hall and eventually added additional space for Shabbat services and dinner in a small room above the campus coffee shop Brown and Brew. By the early 1990s, the Jewish undergraduate student population had grown substantially to about 25% of total undergraduates. The space in Curtis Hall was no longer adequate for its growing needs. A group of parents and alumni came together in 1994 to give Tufts’ Jewish population a suitable home on campus. Funded with a leadership gift from Tufts parents Perry and Marty Granoff, and designed by Utah-based architect Fred Babcock, the 10,000 square foot building is built into a beautiful hillside in a central location on campus. 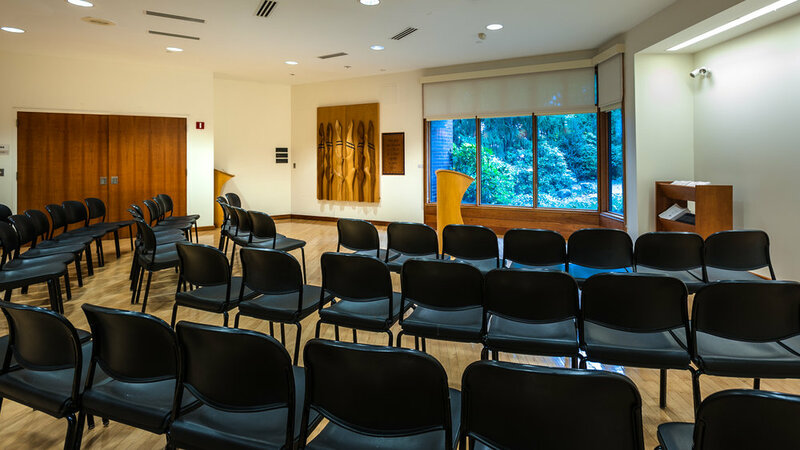 Its inviting and flexible spaces include two chapels, a lounge/library, a large multipurpose space for Shabbat and holiday dinners and programming, and offices for Hillel’s nine full-time staff. Design elements such as floor to ceiling windows and cherry wood trim create spaces that are comfortable and welcoming for all visitors. In 2007, Tufts purchased the former Sacred Heart Roman Catholic Church at 51 Winthrop Street in Medford, which had closed, and the former Knights of Columbus Hall across the street at 58 Winthrop. 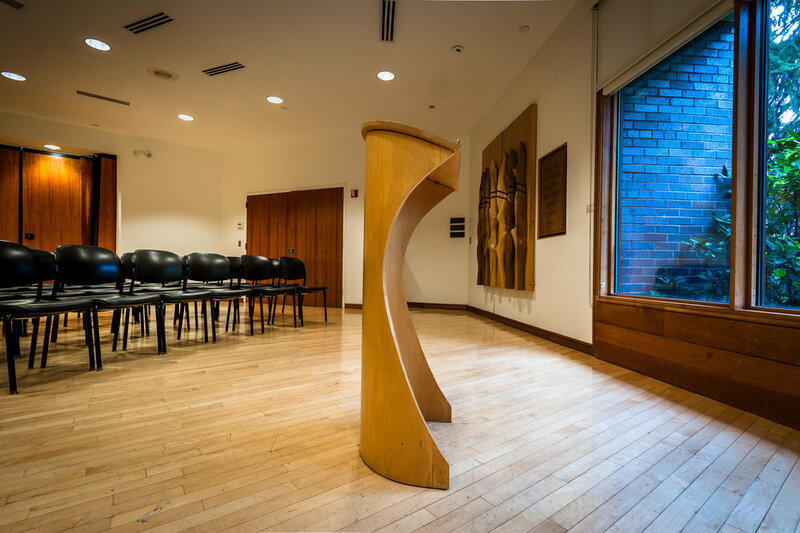 51 Winthrop was converted into a space for university gatherings, and 58 Winthrop was converted into the Tufts Interfaith Center. 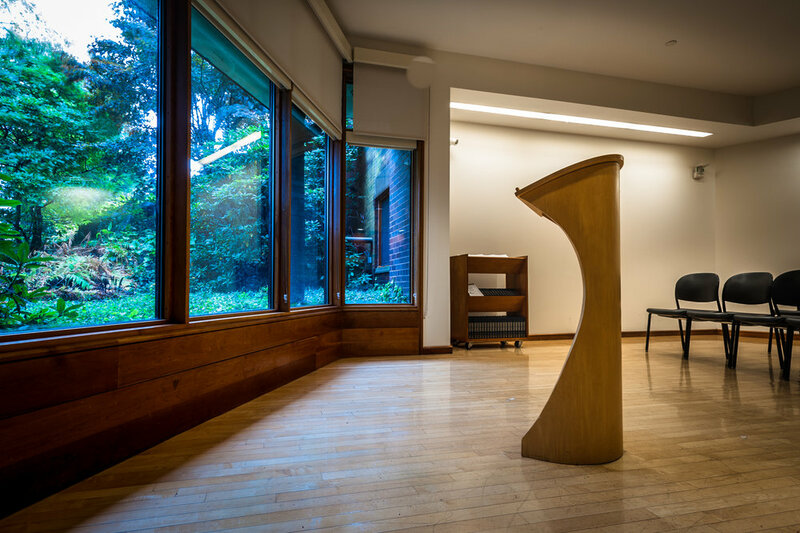 Redesigned by architect Karla Johnson of Johnson Roberts Associates, the space was created to be a home for the Jumah prayers of Tufts’ growing Muslim community, as well as to support the programming of other religious and spiritual groups. 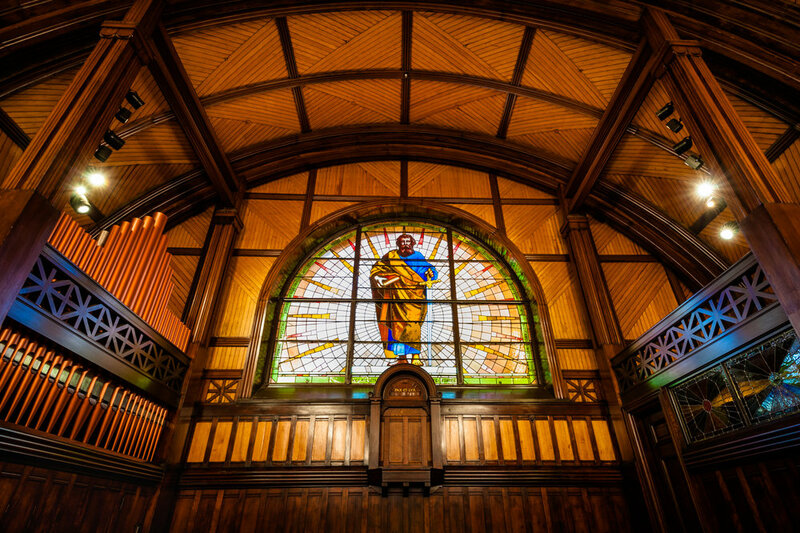 It also houses the offices of Tufts’ tradition-specific chaplains (currently Buddhist, Catholic, Humanist, Muslim, and Protestant). The building includes a large “interfaith room,” a smaller meeting room, offices, and ablution facilities. Designed to blend into the surrounding community, its large windows help to make the spiritual activities that take place within it transparent to the world outside. Its interfaith room is simple in design, without imagery or decoration. It has become a beloved retreat center on campus. Today, all of these spaces are part of the Tufts University Chaplaincy, which in their description is “a dynamic hub supporting religious, spiritual, ethical, and cultural life for all members of the Tufts community.” Multiple gatherings and programs take place weekly in all of these spaces, organized by student leaders and a staff of about ten who serve the whole university community.